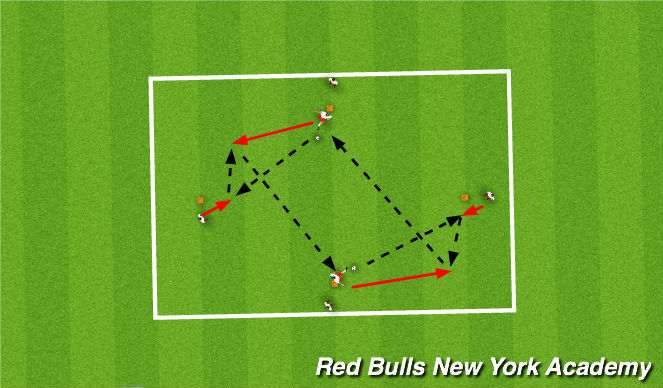 -Setup at least 2 passing grids so players work in smaller numbers. -2 players at each marker. -Pass & follow around the outside of the diamond. 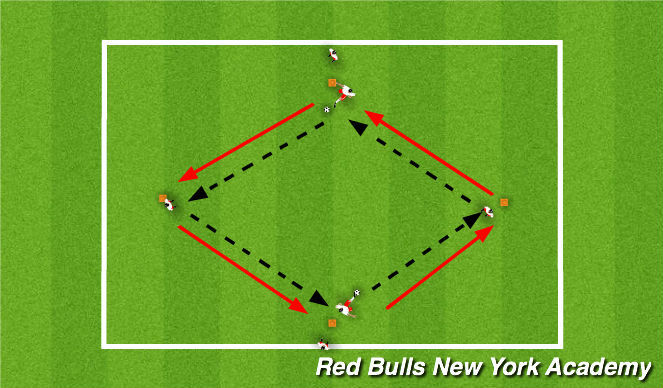 -Ensure drill works in both directions so players use their left and right foot. -Second pattern includes a 1-2 and disguise pass. -Weight & accuracy of passing to the receiving players back foot. -Players should commit to the pass. Pass the ball firmly. -Movement off the ball to create space to receive the ball. -1st touch & control – angle & weight.